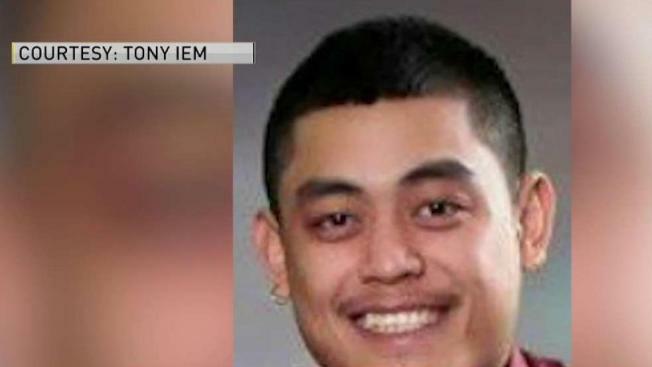 Thirty-year-old Jimmy Iem was shot and killed Saturday night in Lowell, Massachusetts, according to the victim's family. Police are investigating a fatal shooting after a man was shot and killed Saturday night in Lowell, Massachusetts. Authorities say they responded to a report of a shooting on Spring Avenue in the area of Walker Street just after 6:15 p.m. When officers arrived on scene, they found a 30-year-old Lowell man suffering from gunshot wounds. The victim was transported to Lowell General Hospital where he was later pronounced dead. The victim's brother has identified the man as Jimmy Iem. According to Tony Iem, his brother leaves behind a girlfriend, a 3-year-old son and 5-year-old son. The Iem family gathered at the scene of the shooting Sunday to create a memorial. "When you think of a big brother who you can go to and feel safe around, he was that guy," Tony Iem said. Jimmy Iem had just returned from a Valentine's Day weekend trip with his girlfriend when he stopped by a friend's house, his brother says. "He came out to grab his phone from his car, and it happened," Tony Iem said. Investigators are working to determine what exactly happened and why. Lowell police haven't announced any arrests in the case. The victim's identity has not yet been released by authorities. The Middlesex District Attorney's Office will only say that the shooting was not random. The fatal incident remains under investigation.